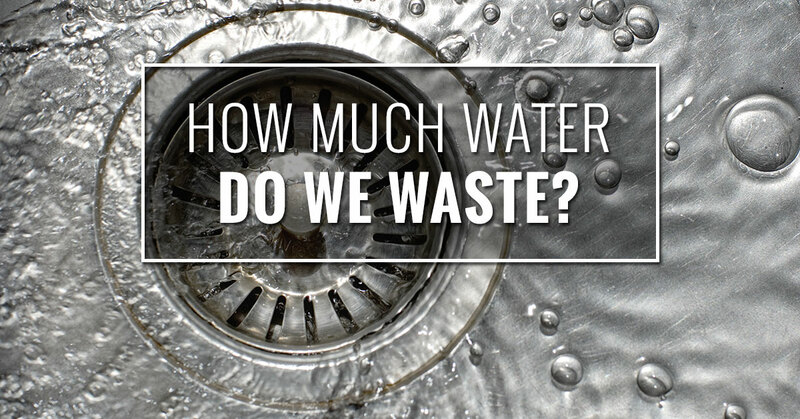 Plumber Belleville: How Much Water Are We Wasting? While water is a renewable resource, it’s not unlimited. You wouldn’t know it here in Belleville, but the world is coping with a water crisis. Water scarcity is becoming so common that a staggering 2.8 billion people throughout every continent in the world are affected by water scarcity for at least a month of every year. Unfortunately, the United States wastes gallons and gallons of water every single day. Not only is our water waste adding to the worldwide water crisis, someone is paying for all of that wasted water, and that can really add up. How much water does the United States use? In an average month, Americans consume 3.9 trillion gallons of water. Although our country’s water footprint isn’t quite as large as China’s or India’s, the average American citizens use roughly twice as much water as the average Chinese or Indian citizen, equating to around 100 gallons per person per day. Considering the fact that the population of the United States is much smaller than that of China or India, it’s astounding that our water footprint is only slightly smaller than China’s or India’s. Where does all of that water go? Landscaping accounts for nearly a third of all of the water we use in households throughout the United States. Although we all want green, beautiful lawns, the fact that we are wasting almost half of that water through over-watering and evaporation is frankly unacceptable. Sixty percent of the water Americans waste annually is caused by leaky pipes and faucets. The Environmental Protection Agency estimates that leaks account for over a trillion gallons of wasted water per year. Flushing the toilet makes up for almost 30 percent of the water we use inside of our homes, and unfortunately, older toilets waste gallons of water every day. If you were to upgrade an older, inefficient toilet with a low flow toilet, you’ll save two gallons of water every single time you flush, which can significantly add up over the year. The water crisis is a serious issue, and it’s time to start taking water waste seriously. There are over 600 million people throughout the world who don’t have access to safe, sanitary water, and though we are largely insulated from the consequences of the water crisis for now, we have a responsibility to correct our water waste to avoid a much more severe crisis down the road. Fortunately, it’s not difficult to save gallons of water per day, and it doesn’t even require you to make any large changes with how you use water in your home. In our next blog, our Belleville plumber will be going over some of the simple steps you can take to do your part to minimize water waste, so stay tuned.